Beginners in this hobby are many times discouraged when they hear about breeders with elaborate fish rooms, with 50+ number of tanks (some approaching 200 tanks!). So we don’t want at the beginning to be “misunderstood”; More Isn’t Always Better – in this case it’s not true! OK, however this is just our method how to raise a quality Moscow guppies with limited (low) number of tanks. And YES, also you can use this method to raise other “color” strain of guppies which one can be maintained with two lines, but please remember some strains cannot be properly maintained with less than three lines or more. Let’s go back to our topic; Successful breeding (QUALITY) Moscow guppies with low number of tanks! We are not saying this is a good, right nor easy way but it is possible to do it this way. Line 1 ; Depend on lighting condition and angle, water chemistry, etc. they will show Blue and Purple (rather than Green) color, I guess they have more Red and Blue iridophores and fewer Yellow color cells. They have a large body, fast growing with more true color, including colored heads. Line 2 ; They are a medium- large sized fish with slight variance in colouration, in some showing a higher percentage of blue / green than others but they are truly outstanding in conformation and finnage. We change 5 percent of water each day using tap water (no room for storage …) with added “Prime”. Thank goodness we have not had any problems. We use Fluorescent Strip Grow Light (for plants) and during the day tanks are exposed to natural light at some degree. So we use one 10gl tank for breeders, one 5gl for grow out fry, one 10gl tank for males and one 10gl for females. We have net traps (three per line) in each 10gl tanks for harvesting the fry. This is a set-up for one line and we do same for second line, total numbers of tank is eight. We use colonies to breed (but it is still highly selective) and starting new colonies frequently with the best of the ones in the prior generation. The advantage is that the gene pool can be kept larger / stronger. In breeders tank we keep three males and six females. We can harvesting the fry from three females at the time and we keep the fry in net trap for few weeks, then only about 30 percent from each drop (bigger and healthier fry) will be moved to fry grow out (5gl.) tank. Later on, only few “best of the best” males and females will be separated and placed in to their new home where they can continue to develop until to the next show/exhibition (or whatever else). of course more tanks can change that. We keep 20 males in 10gl tank (and we keep culling all early developing small males), 15 females with 5 males (in the case that anything happens to breeders, back-up) also in 10gl tank (and every time when one fish coming in – one fish going out of the tank). Discipline in management is key for success! We recommend to *in-breed each line for three generations and than *cross the lines. We’ll talk more about our breeding/selecting program in some of the following posts. to be of show quality standard. Our guppy from Line 2 (Bojana’s Line). We start to doing this on May, 2015 and may wife sent 2 fish (from her line, male and female) to IFGA SHOW hosted by Deep South Fancy Guppy Associates in August 20th & 21th, 2016 and both fish won first place in the Novice Class. It was her second attempt , the first time she brought one very young male to IFGA SHOW hosted by South Jersey Guppy Group in May 14 & 15, 2016. Since we made the trip a little (2 days) longer than we planned to, fish arrived at the destination in a very bad condition (split in the tail …). “You have your way. I have my way. 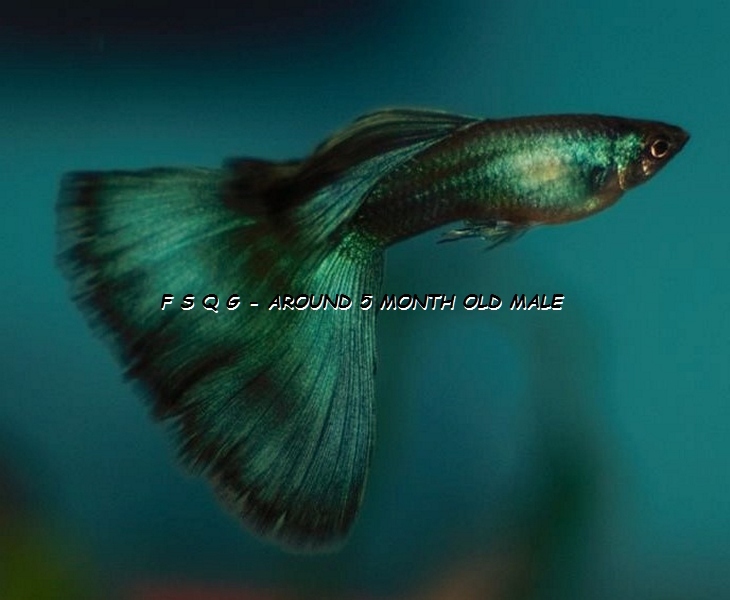 This entry was posted in Guppies - breeding, My Blog (by Igor D.) and tagged Bojana Dusanic, Igor Dusanic, moscow guppies, Nikola Dusanic, successful breeding quality Moscow guppies, successful breeding quality Moscow guppies with low number of tanks. Bookmark the permalink.